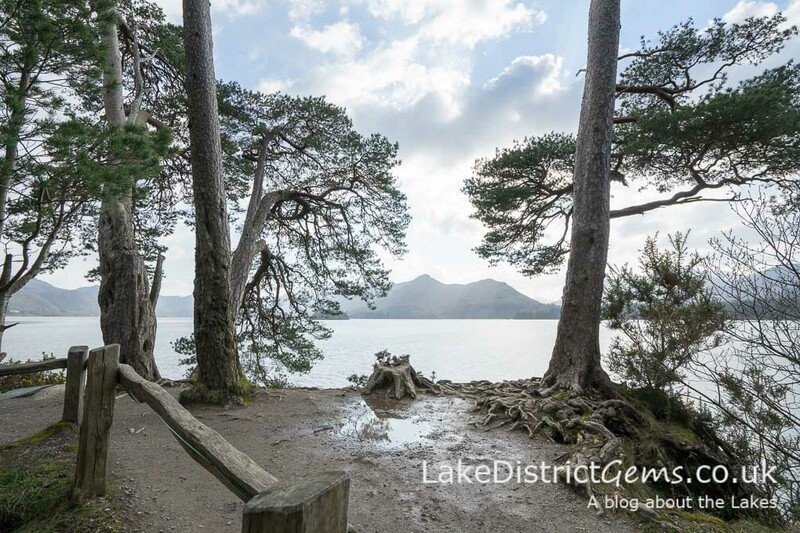 No visit to Keswick would be complete without taking in the views across and along Derwentwater. 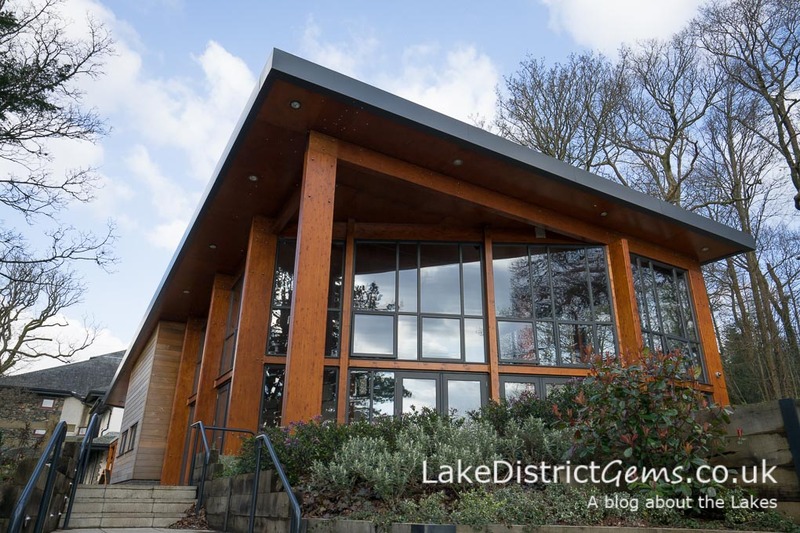 But while many visitors know that the lakeshore can be reached beyond the Theatre by the Lake, just outside Keswick itself, fewer people know about the short walk to nearby Friar’s Crag – and to miss the views here would be a crying shame! 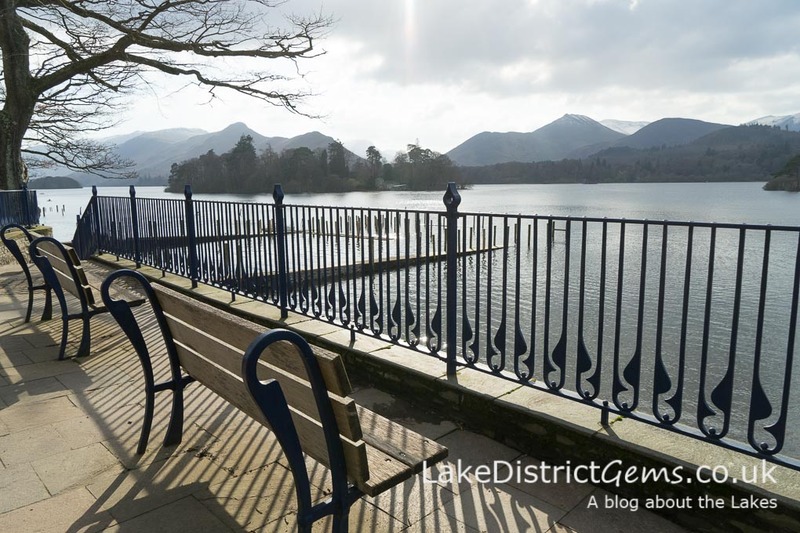 I’ll start this account from the car park next to the Theatre by the Lake, but you can easily walk to this starting point from Keswick town centre itself too. To do so, follow Lake Road as it heads downhill to a subway below the main road, and you can then take a stroll away from the road through beautiful Hope Park. Here’s what Hope Park looked like the other day when I visited (the rest of the photos in this post were taken around four weeks ago – where did that time go?!). Hope Park, where you might spot this cheeky chap! 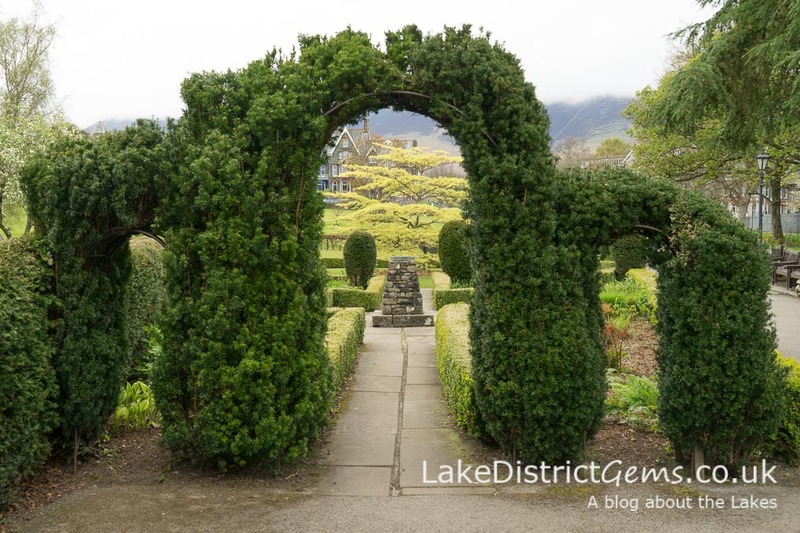 Hope Park looking towards Keswick – and I do like a bit of topiary! 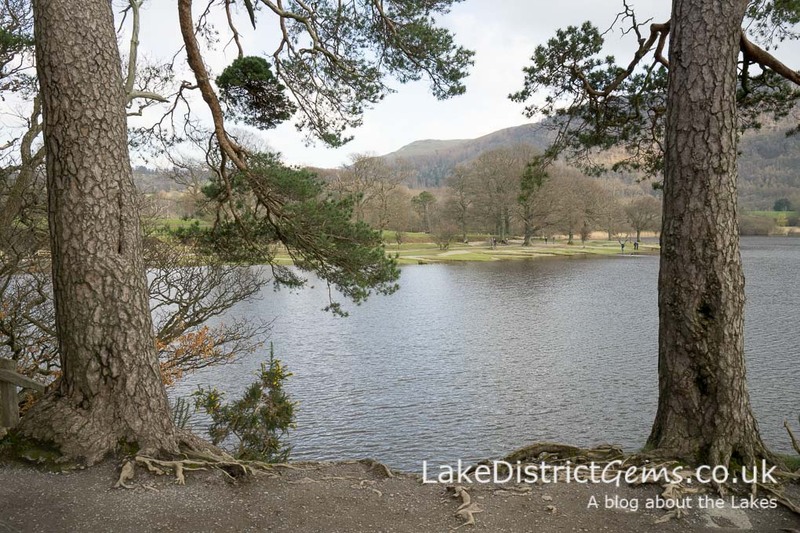 Somewhere I’d never visited before was Crow Park, which is opposite the Theatre by the Lake, and is basically a grassy hill which extends down to the shore of Derwentwater. Despite the mud after a period of sustained rainfall, my companion and I quickly got into the gem-hunting spirit and dutifully squelched our way to the top of the hill. It was well worth it, because the view over the lake was lovely, and to my complete surprise the panorama towards the town was even lovelier! From here Keswick’s Victorian architecture resembles a sort of toy town, which I think makes a great photograph! Moving on to the lake foreshore, we passed the National Trust shop and information centre, and the area where the Keswick Launch comes in. 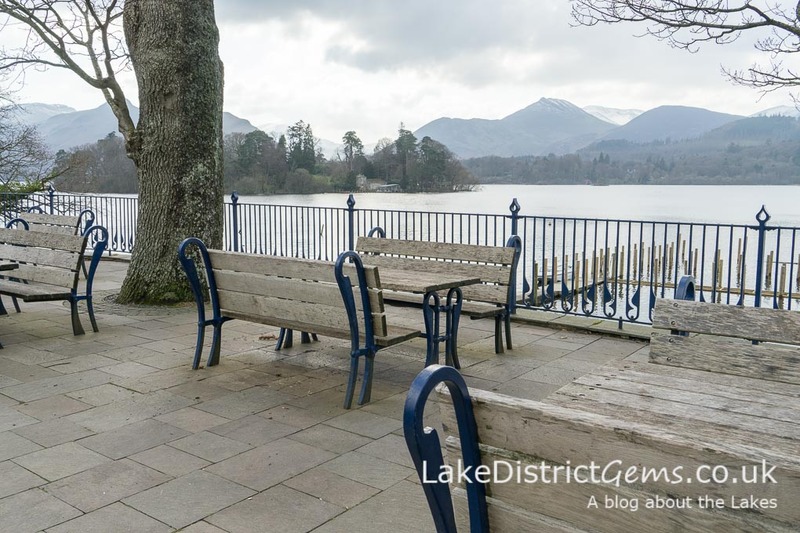 I’d not been here for some time, so was surprised to come across all the improvements, including ornate ironwork, benches and picnic seats – all very nice, and according to the Derwentwater Foreshore Project website, installed between 2008 and ’12. I love the historic brass plaques which form a timeline of the history of the area. There’s also a ‘mountain identifier’ (is there are technical term for these?! ), which is useful if you’re like me. My mind fizzles and goes blank when asked to identify a hill or mountain from a distance! This is the point at which some people don’t explore any further, but don’t miss out. 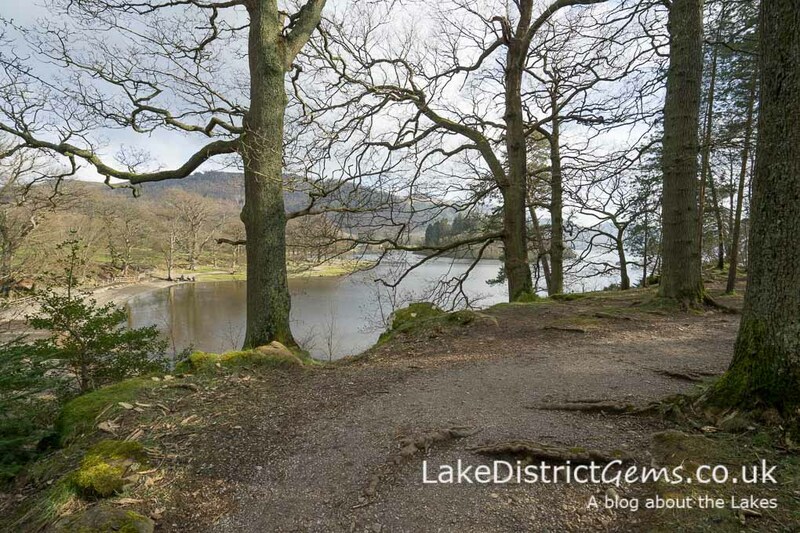 Beyond the concrete walkway, a footpath continues along, and is signposted Friar’s Crag. It’s mostly level with some slopes, and continues through the trees above the lakeshore for about 10 minutes. Look at what you find at the end! It’s a sort of rocky outcrop above the lake, and I love the gnarled old tree roots, characterful tree trunks and yellow gorse bushes. They frame the views beautifully. Something else to see here is the Ruskin Memorial. 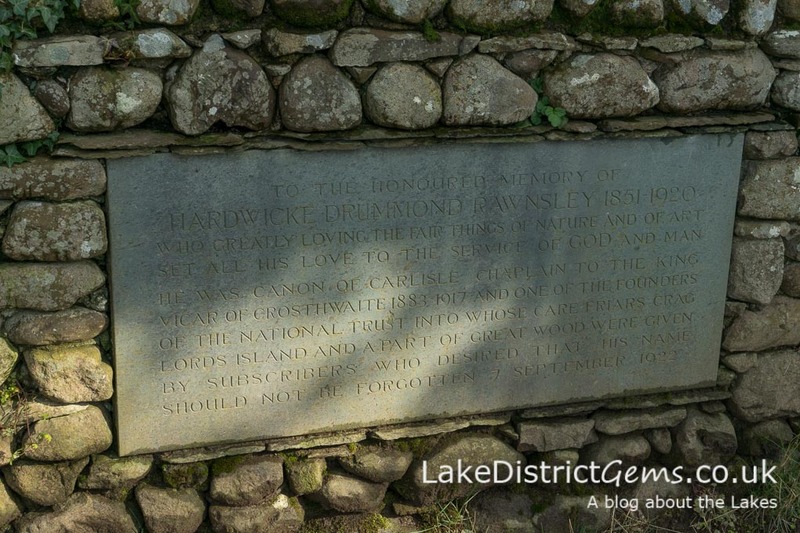 According to the Derwentwater Walk leaflet, Ruskin described the viewpoint as one of the three most beautiful views in Europe! Pictured below is the back of the memorial, which I mistook for the front. 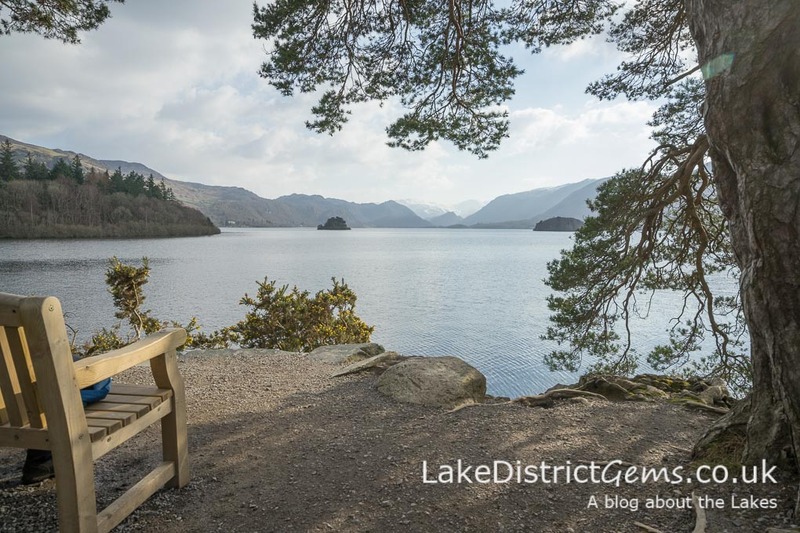 🙂 I did mean to return to look at the other side, but got distracted waiting for the famous bench looking down towards the ‘Jaws of Borrowdale’ to become vacant for a photograph! The view from ‘the bench’ – if you’re lucky enough to see it unoccupied! 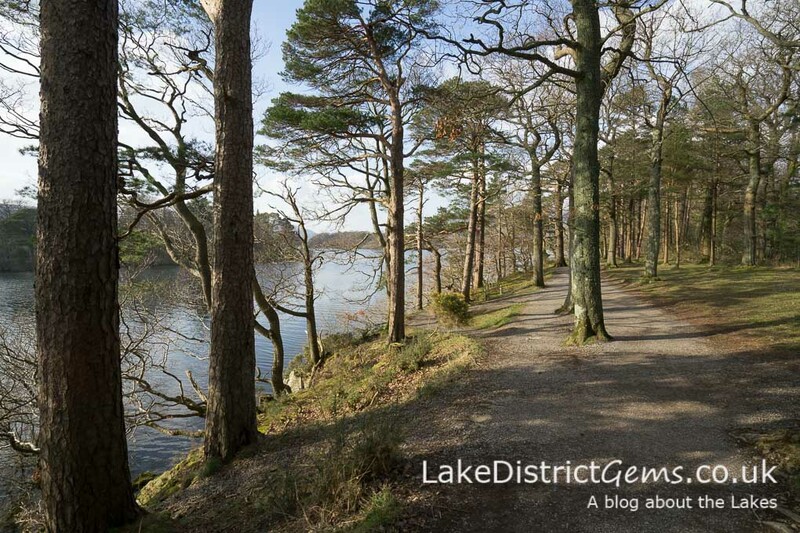 From the vantage point of Friar’s Crag, you can also look down over Strandshag Bay, and can also take a walk there. We didn’t venture any further, as we had a flask of tea waiting in the car with our name on it! 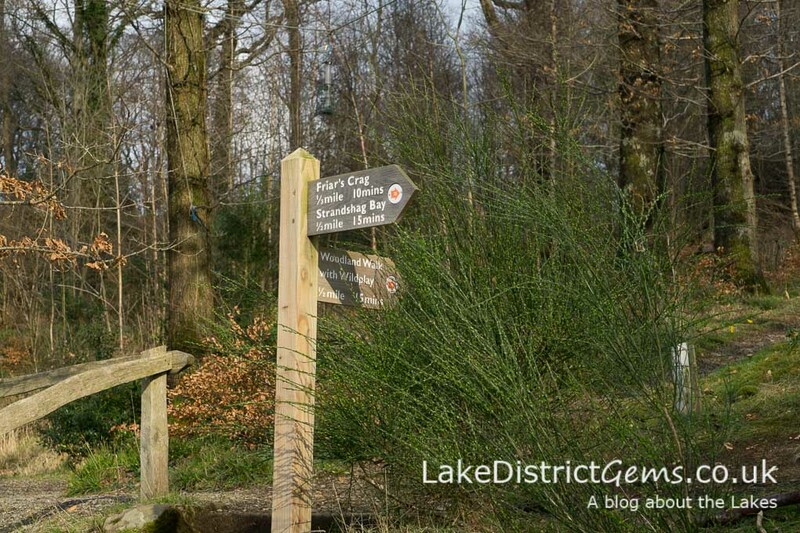 To visualise any walking route, it does help to see a map, so do take a look online at the Lake District National Park’s Miles without Stiles route map for Friar’s Crag. This map points out that you can extend the walk to take in a circular route back through Cockshott Wood, if you’re motivated to do so. 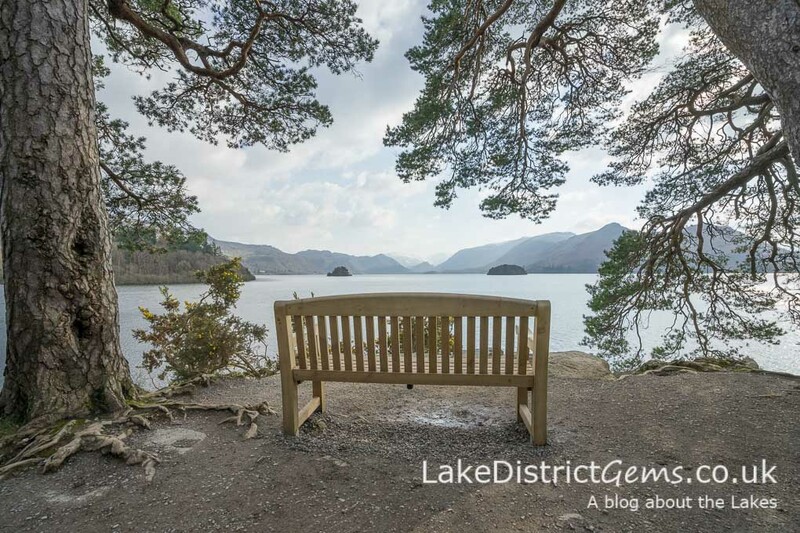 There are guides on ways you can make the most of this area with children, and how to enjoy a summer stargazing walk, as well as a phone app, on the Derwentwater Foreshore Project website. 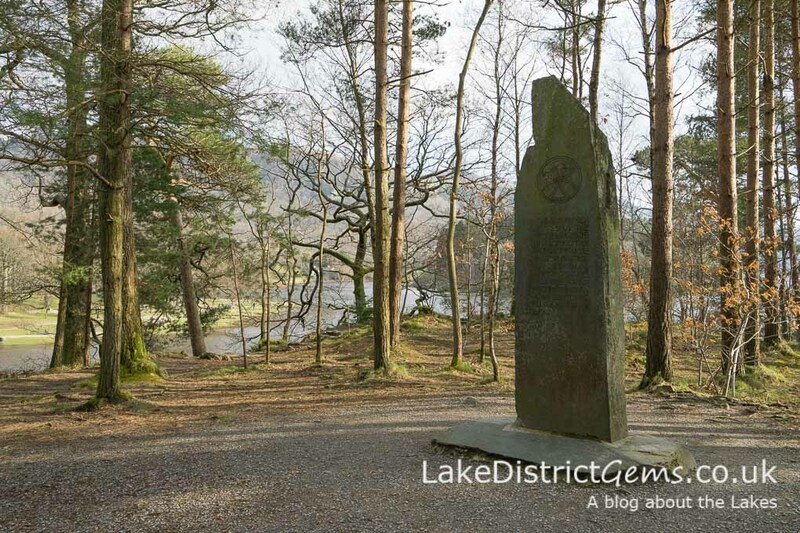 Have you any more tips on how to enjoy the walk to Friar’s Crag and surrounding area? If so, do please let other readers know by leaving a comment below. 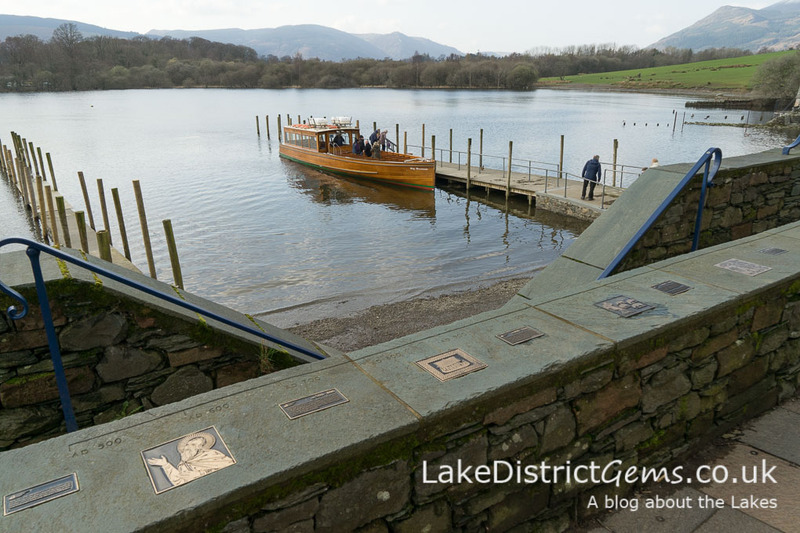 What exactly is the Baddeley Clock in Windermere? 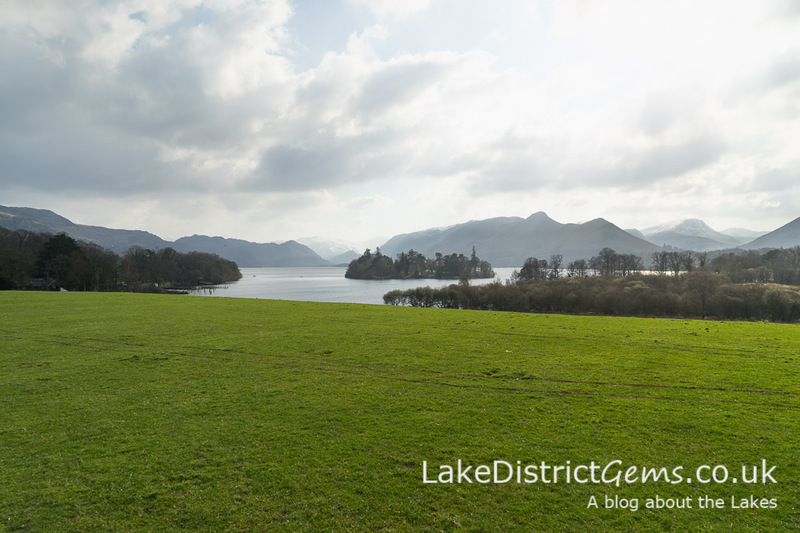 Friar’s Crag once again just goes to show that you don’t have to walk the big fells to enjoy a breathtaking view of the Lake District – if you haven’t visited before, do add it to your list of things to do next time you’re in the area! Another beautiful blog post Janine. Your photography as ever is stunning, as is the area. I have very similar photos which I took there last year. I always look forward to receiving your blogs. Thank you for inspiring me. Thank you so much for your lovely comment Angela – that’s very kind! Unfortunately I do seem to have timed some of my recent photography for cloudy days! I booked a trip across to Derwent Island this week and the sun didn’t appear then either! You’re right though that it’s a stunning place – even when the sunshine won’t come out to play! Hi Janine, I’m an A level Student taking geography and i’m currently doing an independent investigation on Keswick. I was just wondering if you could complete this brief questionnaire for me, as it would help me a great deal. 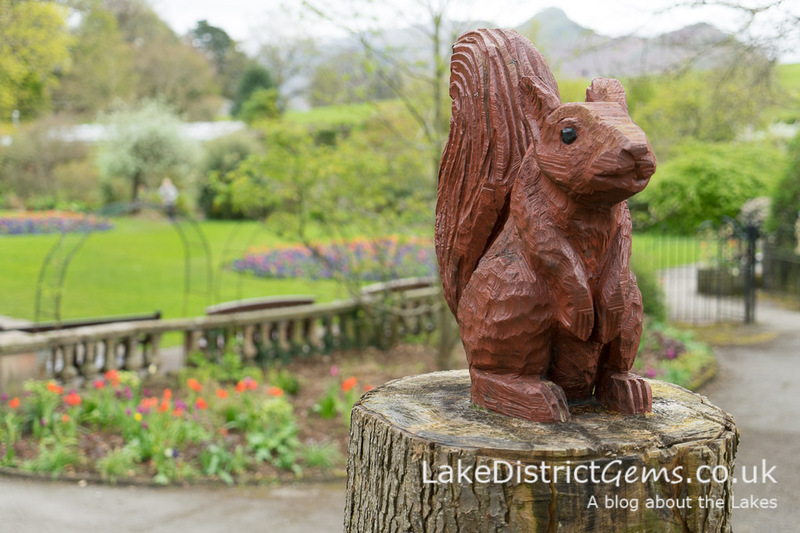 What is your general perception of the noise levels within Keswick? What is your perception of the quality of the education in Keswick? What is your perception of the amount of crime within Keswick? What is your perception of the state of the economy in Keswick? And finally, What is your overall perception of the quality of life in Keswick based upon your own experiences? Thankyou and have a great day! Hello, and thank you for your message. Unfortunately I wouldn’t be able to answer most of these questions as I don’t live and work in Keswick, but I’ve posted them here in case anyone reading will be able to help. Good luck with your assignment!